You want to buy the best HD camcorder under your budget of 400 dollars. 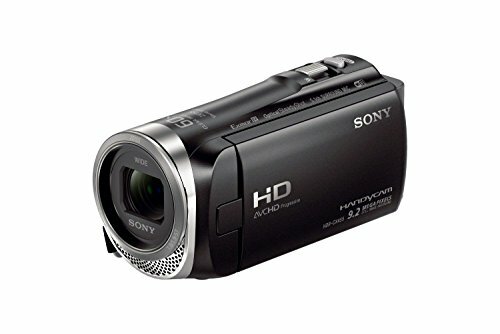 Do you think that buying the best HD camcorder under 400 is possible? If you think that then your thinking is perfect. 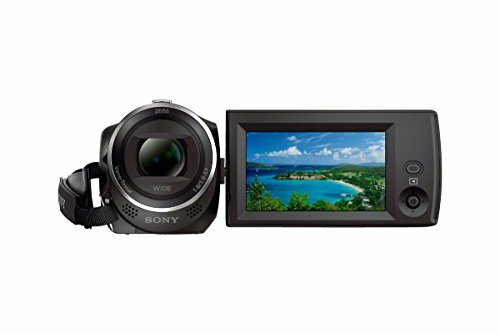 Today, technological advancements and buyers demand have made companies, such as Sony, Panasonic, Canon, and JVC produce high-quality camcorders within 400 dollars. These brands now have best HD camcorders under 400 without letting their customers’ compromise on the quality. Elegant look with a durable and lightweight body, so that you can carry it easily anywhere you want without any fear of damage. HD video recording at up to 1920 * 1080 high resolution at 60p along with CMOS sensor for best low light sensitivity and quality video recording. Multi x zoom— You can easily get up to 42 x zoom. Big LCD for the clear view of objects you are recording. You can get up to 3-inch clear color LCD display for best recording. Up to 16 GB built-in memory with many hours of battery backup with external data card storage. Battery backup could be up to 6 to 8 hours in many brands. Camcorders generally support multiple cards, such as SD, SDHC, and SDXC. Automatic movie editing feature is what makes your work simpler and faster. Many HD camcorders come with this feature to save you many hours that could be spent on movie editing. Low noise video recording. While many camcorders record videos with low noise there are many the add too much noise. However, that noise could be reduced with movie editing. Here we’ve rounded up top HD camcorders under $400 on the basis of many expert review ratings, Amazon ratings, above given features and price in the range of $300 to $400. 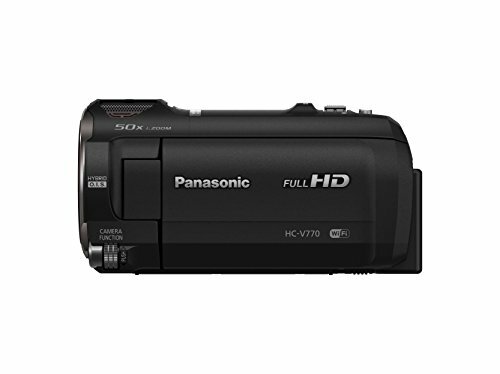 Some of the top manufacturers of best HD camcorders under $400 are Canon, GoPro, and Panasonic. 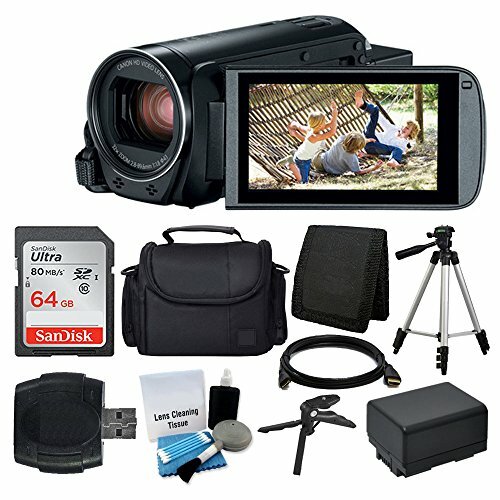 The $400 category of camcorders is quite unique as you can see we have enlisted some really lightweight and portable camcorders. So if you are ready for some outdoor adventure, hop on and choose one that suits you most to begin the adventure. This list deserves a GoPro start in which we are going to take a look at GoPro Hero4 and Hero5. 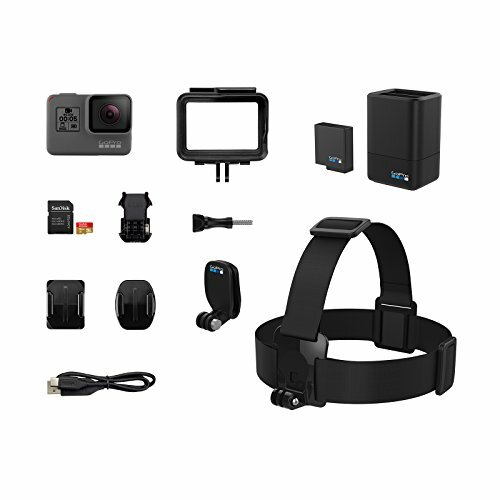 Hero5 is simply the best GoPro ever, as claimed by the company, with features such as Voice Control, Simple One-button control, sheer durability, waterproof, Advanced video stabilization and easy editing with Quik app. For transferring data to your Apple and Windows devices, it has a USB-C port for lightning fast transfer. 4K video is the strong point about this cam, and also the 12MP still images. Exposure control lets you control the light content in your media so that you never run out of light in your images and videos. Other than that, stereo audio in such a small cam is again a thing of wonder. The Hero4 as the name suggests is a prequel of Hero5 which is still almost as solid as its successor, lacking on features like Stereo audio, USB-C port and a few more. However, the Hero 4 comes with a kit that contains 2 batteries, microSD card, and card adapter. A complete kit along with the Canon VIXIA HF R800 containing a 64GB card, Battery, and Charger, Case, Tripod, Stabilizer, LED and 2 Lens Kit. About the camcorder, the R800 has the ability to record 1080p videos at 60FPS, 57x advanced zoom, 3.0-inch touch panel, Slow and Fast motion recording, Highlight priority mode with backlight correction, SuperRange Optical Image Stabilizer, zoom framing assist and more. Quite small and ultra-portable Panasonic HC-W580K could be your ultimate trip companion. Capture some amazing sharp 1080p memories with this cam that zooms up to 50x optical and 90x with 5-Axis Hybrid Optical Stabilization for max stability. HDR prevents low-light issues when shooting and produces a crisp clear video output. For picture-in-picture recording, the multi-camera scene comes in handy. And with a 0.58 pounds of weight, it is one of the lightest in the market. Sony with its underwater cam FDRX3000 has been quite successful in making the huge number of sales. Notably, the cam has 4K video recording augmented with Balanced Optical SteadyShot for ultimate stabilization under water. And the Exmor R CMOS Sensor churns out great photos and videos in any environment. High-quality stereo audio along with wind noise reduction ensures that the audio component of the recording is intact and crisp. Protected in an MPK-UWH1 Underwater casing, take this camcorder as far as 60ft down the water and record most precious memories of underwater fun. Well written article on camcorders under 400 dollars. Finds it very useful. Thank you for the great article.